We are constantly exposed to toxins—in the air, in the water, in the soil, and in our food. In addition to stopping smoking and minimizing foods high on the food chain, how else can we protect ourselves against pollutants? Our body naturally has detoxifying enzymes in our liver and lining our airways. 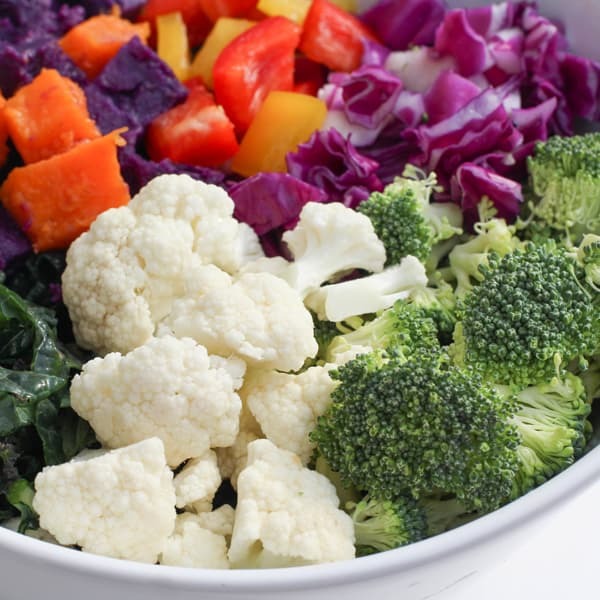 One way we can boost their activity is by increasing our intake of cruciferous vegetables, known as potent inducers of our detoxifying enzymes. Increasing our consumption of fiber, which is only found in plants, is also recommended as fiber binds to toxins, such as lead and mercury, and flushes them away. Phytates, natural compounds found in the seeds of plants—in other words, in all whole grains, beans, nuts, and seeds—have been shown to detoxify excess iron in the body, which otherwise can generate a particularly harmful kind of free radical. While we may all benefit from decreasing our exposure to toxins and increasing the effectiveness of our body’s natural detoxifying enzymes, this may be particularly important for women as they may pass their accumulated pollutants onto their children through the placenta or breast. According to the Centers for Disease Control and Prevention, most women’s bodies in the United States are contaminated with heavy metals, toxic solvents, endocrine-disrupting chemicals, fire retardants, chemicals from plastics, polychlorinated biphenyls (PCBs), and banned pesticides. Pregnant women were found to harbor, on average, up to 50 different chemicals, and researchers found detectable DDT residues in 95 percent of umbilical cord samples from women who had recently given birth—and this is now decades after the pesticide was banned. Which foods seem to contribute the most heavy metals and other pollutants? The number-one identified source of arsenic was poultry among preschoolers and, for their parents, tuna. The top source for lead? Dairy. For mercury? Seafood. The reason birth order is a predictor of pollutant levels in the bodies of children is that women can pass along as much as half of their PCB burden to their fetus during pregnancy.